ONCE IN A GREAT WHILE A TRULY SPECIAL AND STORIED SAILING YACHT COMES ON THE MARKET "JANCRIS" ISTHAT BOAT, AND SHE IS READY FOR HER THIRD CIRCUMNAVIGATION ! HUGE $100,000 PRICE REDUCTION!! - LET'S TALK!! THE OWNER WANTS TO GET HER SOLD! SWISS STANDING RIGGING GUARANTEED FOR LIFE!! EXPERTLY AND LOVINGLY MAINTAINED BY HER VERY EXPERIENCED AND KNOWLEDGABLE OWNERS. CALL TODAY TO BEGIN YOUR NEXT ADVENTURE ON THIS BEAUTIFUL, FAST, SUPER CLEAN GREYHOUND OF THE SEA! Be sure to check out the video (note video tab by photo tab). 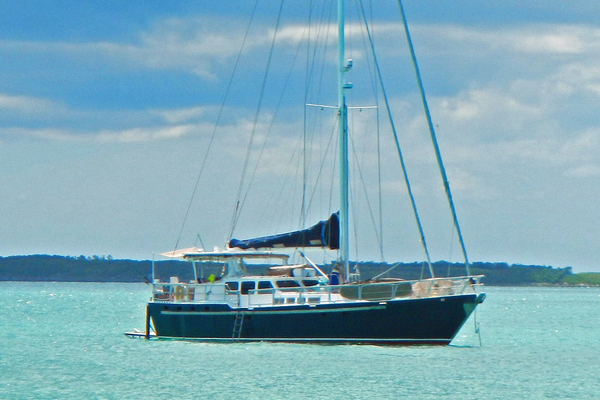 United Yacht Sales New Jersey would love to guide you through a personal showing of this 56' Custom Mikado Center Cockpit Cutter Ketch 1983. 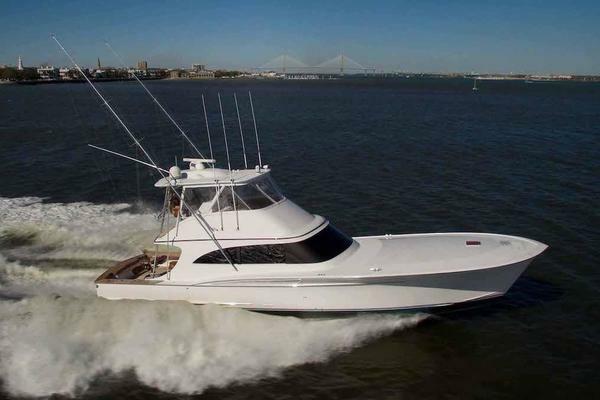 This yacht for sale is located in Titusville, Florida and priced at $299,900. For a showing please contact us by filling out the form on this page and we will get back to you shortly! Life on Janus is centered around the huge center cockpit and aft salon. As you come down the companionway, you will see the well appointed navigation station to starboard. A quick right turn will putyou in the galley which runs down the outboard star board side.It sportsdouble stainless sinks with a drain board, a beautiful 3 burner propanestove and oven and plenty of counter space and storage. One step aft puts you in the FULL WIDTH aft salon. In the salonjust aftof the galley is the stacked 3 door Dometicrefrigeration system. The Salon is adorned with plaques and awards "Jancris"has earned from ports and countriesall over the world. There is even a broken top of a 3000year oldAmphora jar Alfredo found in the Mediterranean that goes with the boat. In the port forward corner of the salon is a door to a very handy work room complete with a bench and vise and the generator controls. This was a converted head. Aft in the Salon is a small door that opens to a largesteerage cabin that has 2 single berths perfect for grand kids or extra crew. This space is accessible from the deck and is also a great storage room. From the companionway forward to port is the master stateroom with a queen bed and a separate head and vanity, complete with a separate shower. Moving forwardon the port side is a large private guest stateroom with a full sized double berth. Just across the hallway to port is the forward head complete with a very nice vanity, Lavac Toilet and shower. All the way forward is a stateroom with2 stacked single berths onthe portside of the cabin. All total you could sleep8 people in their own beds on Jancris. Perfect Lay out for Long Distance cruising! Swiss Standing Rigging Manufacturer Guaranteed For Life! !